With the Transfer tab you can easily preform transfers from the Extension Window instead of using the default Skype for BusinessSkype for Business (formerly Microsoft Office Communicator and Microsoft Lync) is an instant-messaging client used by Anywhere365. 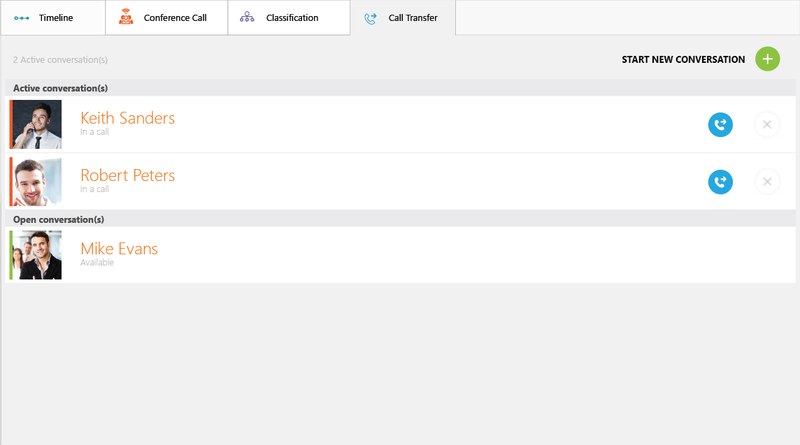 In order to use SFB, a Microsoft Skype for Business Server is required. Skype for Business is enterprise software; compared to Skype, it has different features that target businesses. controls. Direct transfers can be done by drag and dropping the customer photo on a contact or click on the transfer button. Consultative transfers can be done by starting a new conversation with the '+' icon and clicking the blue transfer button. Tip You can right click the blue transfer button to select a different contact uri.